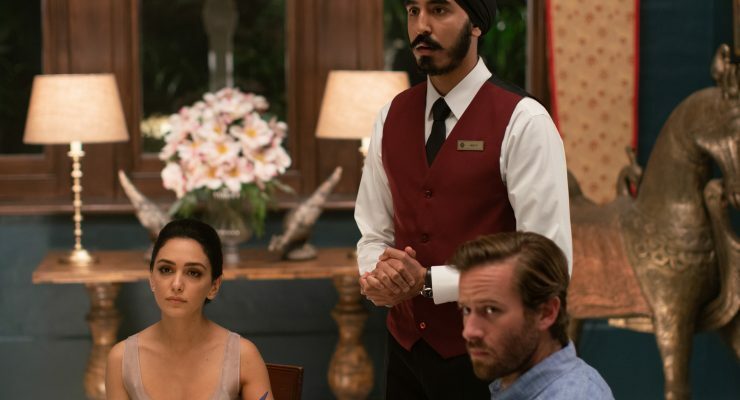 Hotel Mumbai - Upstate Films, Ltd. Refusing to leave their guests, the renowned chef Hemant Oberoi (Anupam Kher) and a waiter (Academy Award-Nominee Dev Patel, Slumdog Millionaire) choose to risk their lives to keep everyone safe. As the world watches on, a desperate couple (Armie Hammer, Call Me By Your Name and Nazanin Boniadi, Homeland) is forced to make unthinkable sacrifices to protect their newborn child. – Bleecker Street In English, Hindi, Punjabi, Marathi, Greek, Russian, Arabic, Urdu, & Persian with subtitles. R / 2 hrs 3 mins.